How do you want your team to play? We’ve talked about it before on the podcast. Gary has written about it on the blog. It’s also been a topic of discussion at all three of our coaching summits. The question itself is simple. But the answers can be dissected and dissected again, and then dissected again. Most coaches have a collection of drills. Most coaches use a bunch of fancy buzzwords. But most coaches fail because they don’t have a clear idea of how they actually want their team to play. In this episode of the podcast, you’re going to hear Paul Holocher talk a little bit about his experience with answering a very similar question. The audio was captured during our third and final coaching summit. 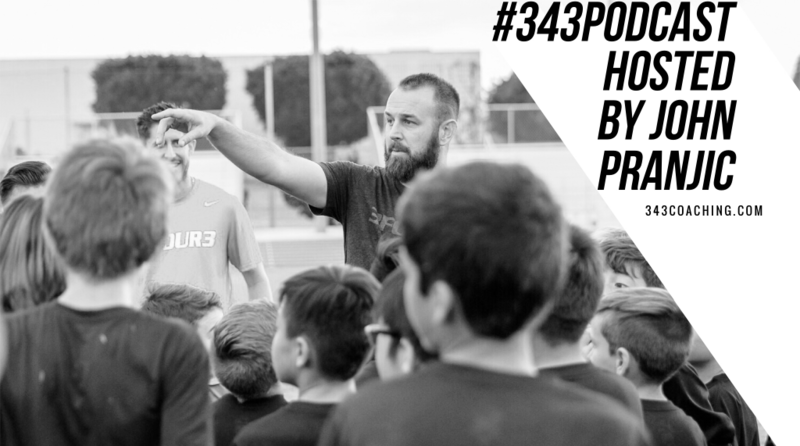 And the entire presentation is now part of the 3four3 coaching education membership. If you’re already a member – badass! You rock. If you’re not a member, no worries. You can make a really great decision and start learning our proven coaching methodology whenever you’re ready. Just don’t wait too long while others keep progressing.